What are the tech specs of the Vivo NEX? Does Vivo NEX have a headphone jack? Yes, Vivo NEX has a headphone jack. Does Vivo NEX have a USB-C Port? Yes, Vivo NEX comes with a USB-C port. No, Vivo NEX is not waterproof and doesn’t come with any IP rating. 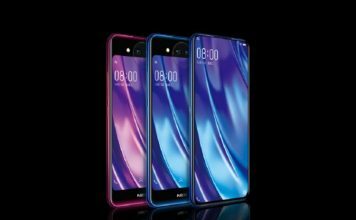 Does Vivo NEX have a notification LED? No, Vivo NEX doesn’t come with a notification LED. Does it have a dedicated earpiece? No, Vivo NEX doesn’t have a dedicated earpiece. 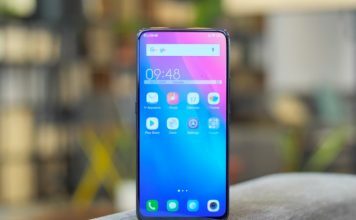 In an attempt to remove the notch, Vivo has used a Screen SoundCasting technology which uses a micro-vibration unit to generate screen vibrations which are conducted as sound. Does it have an LCD or an AMOLED display? The Vivo NEX brings a 6.59 inch Super AMOLED panel with a resolution of 1080 x 2316 pixels giving it a pixel density of 388 PPI. 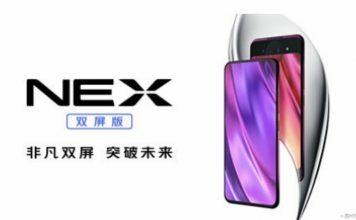 Does Vivo NEX has a notch? No, Vivo NEX doesn’t sport a notch. The Vivo NEX brings an impressive 91.24% screen to body ratio. In comparison, iPhone X has only 82% screen to body ratio. Maximum brightness under default settings is around 460 nits. Does Vivo NEX come with a fingerprint sensor? Yes, Vivo NEX utilizes Vivo’s innovative under-display fingerprint technology. Does Vivo NEX come with face recognition and face unlock? No, Vivo NEX doesn’t come with any kind of face recognition or face unlocking. The under-display fingerprint sensor although revolutionary is still a little slower than your normal fingerprint sensor. That said, the accuracy rate is close to 100% which compensates for the little delay that you are going to experience. Yes, the under-display fingerprint on the Vivo NEX works flawlessly even with a tempered glass applied to the device. Yes, the Vivo NEX had no problem in unlocking with oily or dusty fingers. We tested it in different scenarios (after eating lunch, a pack of chips, and more) and the phone was able to unlock every time. Does the sensor work with wet/moist fingers? No, just like it’s with a regular fingerprint sensor, the Vivo NEX doesn’t unlock with a wet/moist finger. 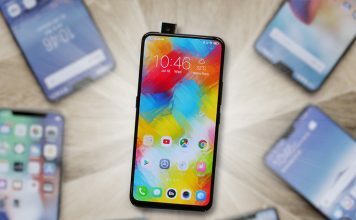 What processor is being used in Vivo NEX? Vivo NEX is using the top of the line Snapdragon 845 processor along with Adreno 630 GPU. The overall performance of the device is similar to any other flagship device out there. Can the Vivo NEX run PUBG Mobile? Yes, the Vivo NEX can easily run PUBG Mobile. Just like any other flagship device, the Vivo NEX flies through in any day-to-day performance scenarios. Where is the front camera? The front camera is neatly hidden under the body and only comes up when required. The secondary lens is neither telephoto nor a wide-angle lens. It’s just a normal lens which is being used for providing depth effect in portrait mode shots. Does it record 4K footage? Yes, the Vivo NEX records 4K footage at 30 FPS. Does it have portrait mode? Yes, Vivo NEX can take portrait shots. Does the front camera have portrait mode? Yes, the front camera has portrait mode capabilities. It even features different lighting mode such as monochrome and studio mode just like it is in iPhone X. Does it bring EIS or OIS? The Vivo NEX comes with 4-axis optical image stabilization or OIS. However, there’s no mention of EIS. Does it have AI Camera? Yes, the camera brings AI features such as automatic scene detection, automatic color calibration, and more. Yes, the Vivo NEX supports slow-motion video recording. No, there is no Pro mode in the camera. Does it have animated emoji support? No, Vivo NEX doesn’t bring animated emoji support. You do get AR stickers though. The Vivo NEX is running on Android 8.1 Oreo with FunTouch OS 4.0 on top. Yes, Vivo NEX supports Project Treble. Will it get Android P? Yes, the phone will get Android P in the future. However, the company has not given any timeline regarding the update. Does it have an App Lock? Yes, Vivo NEX brings app locking feature. Yes, Vivo NEX brings full-screen gesture support. Does Vivo NEX support dual-SIM cards? Yes, Vivo NEX supports dual-SIM cards. Does Vivo NEX support dual-band WiFi? Yes, Vivo NEX supports both 2.4 GHz and 5 GHz WiFi bands. What version of Bluetooth Vivo NEX is using? 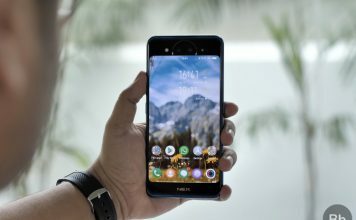 Does Vivo NEX supports 4G VoLTE? Yes, Vivo NEX supports 4G VoLTE. Vivo NEX packs a huge 4000 mAh battery. Does Vivo NEX supports Wireless Charging? No, Vivo NEX doesn’t support wireless charging. How long it takes to charge the phone from 0 to 100%? In my usage, which included clicking a ton of photos, playing games, and browsing on Reddit, the smartphone lasted almost two days, ending the first day with about 50 percent battery and about 5 percent towards the end of the second day. I hope that the article was able to answer all the questions that you had in your mind related to the Vivo NEX. If there are still any doubts left, shoot your questions in the comments section below and we will be happy to answer them at the earliest. Also, share with us your opinion of the phone. We love to hear from our readers and your comments are always appreciated.